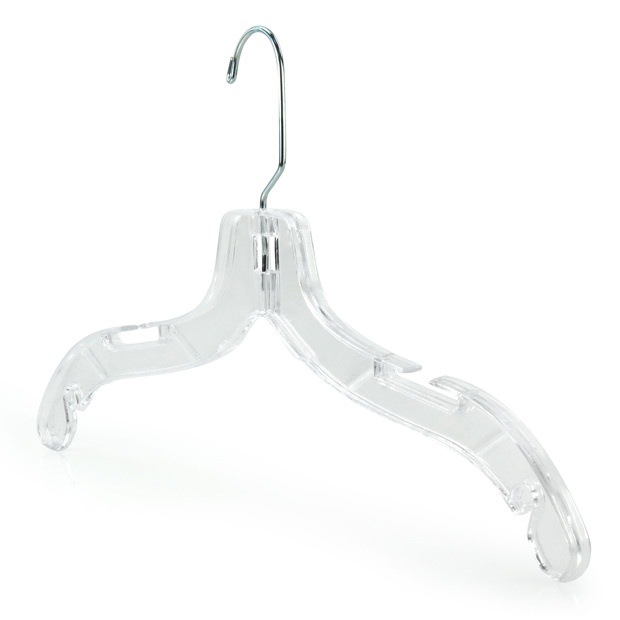 Durable plastic clothes hangers with crystal clear finish. Ideal for hanging tops, shirts, t-shirts, jackets, coats, skirts & dresses etc. Stylish design with upper and lower notches for skirt & trouser loops and straps. Flat, space-saving design. Swivel silver chrome metal hook. Matching clip hangers also listed separately. Size: Width 42cm (16") approx.